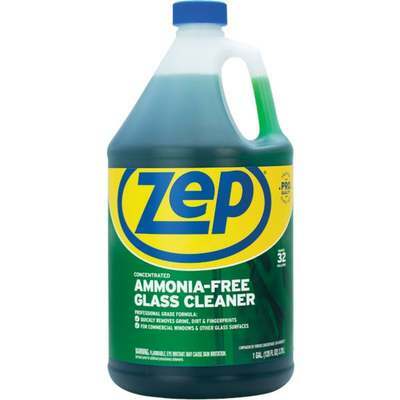 Zep Commercial ammonia-free glass cleaner concentrate is an industrial strength formula that cleans glass, acrylic, mirrors, and tinted windows. Removes smudges, dirt, and dust. Cleans without streaking. 1 Gal.